It was a delight purchasing our home through Chris Casey. Chris would have to be one of the most ethical and honest people we have had the pleasure to purchase real estate from. A Father & Daughter team that has looked after our needs in Reflection Tower Two to our expectations. Highly recommend them to any buyer looking for Quality Beach Side real estate in this superb area. Chris Casey was more than helpful in the purchase of our Apartment in Coolangatta. Nothing was too much trouble for Chris or his Staff. We received all the information we asked for, & more. I cannot imagine how we could have been happier in our dealings with Coastal Space. If all Agents were as efficient as Chris & Maria the Real Estate world would be a better place. Chris and Maria helped my family secure a property. They were a great friendly and above all patient team. I would highly recommend them to anyone looking to buy or sell a home. We found Chris and Maria extremely helpful and trustworthy throughout the purchasing process of our apartment and would highly recommend Coastal Space to any future vendors or purchasers in the area. Chris and his team recently sold our beachfront apartment for close to our asking price (well above past sales in the building), without a formal listing and with no advertising. Our aim was to sell our apartment as quietly and effortlessly as possible and Chris brought us the winning offer 4 days after placing the property on the market. I would highly recommend Chris and his team if you are seeking an alternative to the advertising-hungry and ego-driven coastal real estate professional. He is very open to his client’s needs, flexible in his approach to selling property and has an approachable and friendly manner. What a pleasure it was to find this agent. Very open to any questions, supplied all the facts we requested, could not fault Chris Casey in any way. He worked for the seller but treated us with the utmost respect, to such a degree that we trusted him and we were never disappointed. In our opinion, whether you buy or sell, he would have to be seriously considered and we can definitely recommend this agent. We bought and sold our unit in KirraSurf Apartments through Chris and Maria some 5 years apart and their excellent service and knowledge of the market was very strong on both occasions. We appreciated their personal touch and professionalism with both the buy and the sell. After having my property listed with two other agents for two years each without an offer I listed with Chris. He sold my property in ten months for a price I was happy with. I had easy communication & can recommend Chris & Maria to sell your property with a minimum of fuss. Mei and I had the pleasure of meeting both Chris and the team from Coastalspace when we recently purchased our unit in Reflections Tower 2. Always professional and friendly, they took the time to understand our needs, wants and budget and showed us a number of suitable properties. Being new to the Qld property market , Chris took the time to educate us on the “local laws, rules and regulations” and worked closely with us and the sellers to broker a deal that ensured a “win/win” outcome. We are still in the midst of permantly relocating back to Australia, but each time we are in “Cooly”, we always look forward to dropping in to see the team and are always made to feel welcome and part of their family. Mei and I would have no hesitation in recommending the team at Coastalspace to any potential seller or buyer and we look forward to future dealings with them in the future. Chris and Maria of Coastal Space were professional, helpful and effective in achieving our sale. They are specialists in their area and keep on the job until the property is sold. We are happy with the outcome they achieved for us and would certainly recommend them. Chris has extensive knowledge in all facets of the industry. His forethought and initiative are beyond reproach. We could not be happier with the hard work and commitment put forth by himself and his staff. I would highly recommend Chris and his agency. We would highly recommend Chris Casey as he was always professional, knowledgeable & helpful in all our negotiations. We feel Chris looks after his clients both buyers & sellers with the greatest integrity. 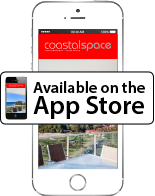 We're very happy that we decided to engage Chris at Coastal Space to market our property. Chris & Maria are an efficient & formidable pair who we think would give the service that's required to keep even the most difficult seller happy. We'll be back to Reflections as soon as we are able as Cooly is in our hearts & it will always be the location we prefer for quite a number of reasons but we'll keep that a secret so that the people going north to Surfers don't hear about it too soon! After listing our unit with two local agents in succession, having hardly any inspections and being told over and over again that we must lower our price to meet the market and that we have to spend thousands of dollars in advertising, we listed our unit with Coastal Space whose office is in Reflection Tower Two. We listed the unit on Friday afternoon. During the weekend we had three inspections, one of which resulted in a sale. We can’t speak highly enough of Chris Casey, the Principal and his team. They worked extremely hard to achieve a result which was fair to both us, the vendors, and to the purchasers. Chris and his team are friendly and down-to-earth yet very professional and trustworthy. What we liked most of all about Coastal Space was their enthusiasm and positive attitude. They never tried to use the state of the market to demoralize us into lowering our price so that they could make a quick sale. They just got on with the job. We would recommend them unreservedly to anyone wanting to buy or sell in the Reflection buildings or anywhere on the beachfront. Chris and the team at Coastal Space were very patient with selling our Reflections Tower 2 property – they were faced with a difficult challenge in a buyer’s market but they never gave up, even when we were ready to. Our apartment was a unique design that would only suit a certain type of buyer, and we were keen to minimise our losses. However, after a while Chris convinced us that property values were not likely to go up any time soon and that we would need to ‘meet the market’ in order to sell. Once we dropped the price, he found a buyer who flew up from Melbourne and snapped it up the same day. Coastal Space were very efficient in keeping us updated with reports. They know the beautiful Reflections buildings in Coolangatta better than just about anyone and they look after buyers and sellers alike. We recently sold our much loved unit, at ‘Reflection on the Sea’ in Coolangatta. After discussions with other Real Estate Company’s, we decided to appoint Coastal Space as our selling agents. Our decision to do this, certainly proved to be the correct one. Coastal Space principal, Chris Casey and his very capable PA, Erin King, were exceptional in their approach on how the sale would be handled. Both Chris and Erin worked very hard on our behalf, communication was excellent, phone calls always promptly returned. A very satisfactory result was finally achieved. We would certainly appoint Coastal Space as our professional agent in any future sales. We had dealings with Chris over 12 months while selling a unit on the southern end of the Gold Coast. Chris was always professional , true to his word and persistent. We would not hesitate in recommending Chris. Just recently, my wife and I turned a life long dream of owning a beachfront property in Coolangatta, QLD into reality. From the moment of meeting Chris and Maria from Coastal Space Real Estate, you knew that they were not interested in the "quick sell" but rather took the time to show my wife and I several apartments that they thought may be of interest to us. At no time were we pushed into making a our minds up but given time to think things over on such an important decision. Chris and Maria are genuinely lovely people that would rather loose a sale than push you into something you really didn't want. Living in the same apartment building as we purchased in and being a local in the Coolangatta area was definately a huge plus for us in making our minds up. In my honest opinion, it was like dealing with friends rather than Real Estate Agents, Our sincere thanks to them both, my score rating would have to be a well earned 10 out of 10. Regards Robert and Mary. In an industry which has a few shady characters, it was our pleasure to meet the Chris Casey at Coastal Space when we started to make enquires about a unit on the Gold Coast. Chris gave very generously of his time to assist our understanding of the relative benefits of the stock which was on the market at the time, explaining how each unit might be improved and the history of prices for which comparable units had changed hands. Without fear or favour Chris provided his honest assessment of the benefits and shortfalls of each unit we inspected, without any pressure or persuasion. Whilst this may seem an unusual process to some vendors, it is critical to winning the trust of potential purchasers and in our case led to a purchase a year or so ahead of our original plans. Our purchase was made at a time when vendors were adjusting their expectations in a declining market. We were interested in a number of units and unlike other agents, Chris was able to move his vendors to a reasonable market price which allowed us to proceed. The other agent really let his sale get away as he seemed less interested to coach his vendor to market. Making a market is part of the agents job and I feel Chris worked for every penny of his commission including many hours outside of normal trading hours. He reminds me of this each time we meet! One final point worth noting, is that it was reassuring to do business with an agent who runs his business from & lives in the building. It’s in his interest to have happy buyers and sellers today and tomorrow. I would highly recommend Chris of Coastal Space to both purchasers and vendors. We were most fortunate to meet Mr Chris Casey when looking to purchase a property. We found him to be most professional in all aspects of our contact with him. From our first meeting when he showed us several available properties to the closure of the sale. He was honest in his answers to all of our questions. We were never subjected to sales pressures which we had previously encountered with others. We found him to be mature, seasoned and reasoned in his approach. He had integrity in all his dealings, whether he was with clients, prospective clients or fellow Real Estate agents. The property on which we settled was in conjunction with another agent and on auction day Chris was most helpful and assisted us with all aspects especially in calming our nerves at the crucial moment. He was always professional. We would have no hesitation in endorsing Chris Casey for any advice or transactions in the real estate market. I am writing to thank you for your help in the purchase of my unit in Reflections Tower Two. In the short period of time I had to view the unit, peruse all documentation and put my offer through to the vendor, you were there with me every step of the way. You made my time there productive, enjoyable and simple. Your assistance with the conveyor was time saving, financially viable and so helpful. I felt like you and Erin were there for me in every aspect to save time, money and to short track everything to make my life easier. Since the purchase your good will and follow ups have made me feel that I definitely chose the right person/s to look after my asset and finances. I thank you again for all your help, good cheer and for your astute management of my purchase. We were considering moving to Coolangatta to retire so we needed to develop a sound understanding of an unfamiliar market and then find a property that met our needs. Chris at Coastal Space was exceptional during all aspects of this process – before, during and after the purchase of the property he found for us. He gained our respect through understanding our needs, by going “the extra mile” to do whatever was necessary to complete the purchase and then being available to help us after the sale, when many other agents would have already forgotten us. Chris Casey has values that are rarely found today and this allows him to quickly find the common ground between buyer and seller. We are very appreciative of their time, effort and dedication and would strongly recommend Coastal Space to any prospective buyer or seller.